The other day I popped by a wool spinning mill with more history than you could shake a stick at. The Coldharbour Mill in Uffculme, Devon (just beside junction 27 on the M5) is a little chunk of the West Country's industrial heritage. 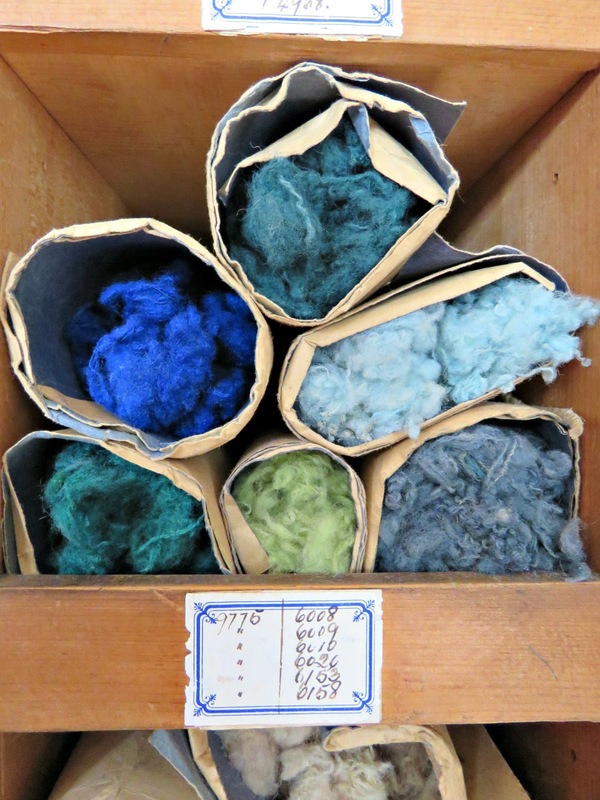 It's been doing its thing, spinning wool from raw fleeces, for more than 200 years. At first it was powered by a huge water wheel, then they upgraded to steam. 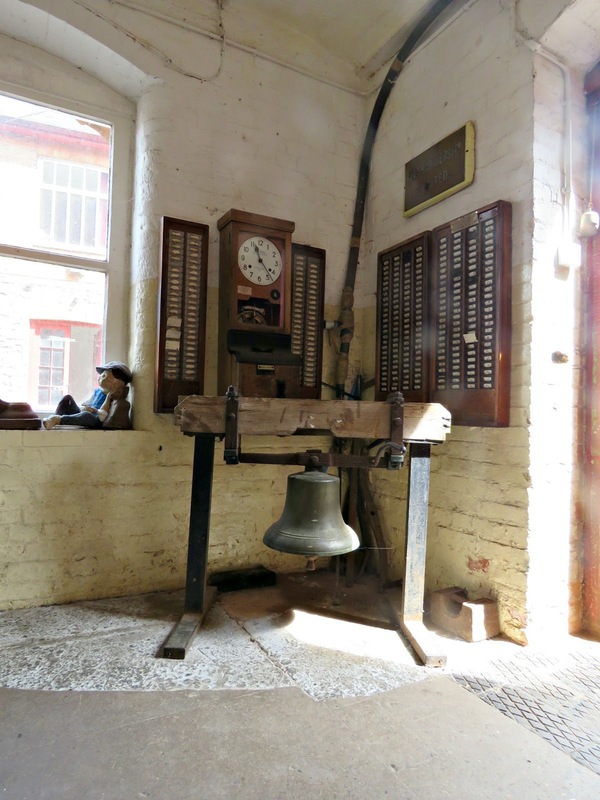 These days they mostly run on mains electricity, but on certain days of the year they fire up their huge beam engine and return to the age of steam once again. Back in the nineteenth century a mill worker's lot was not an especially happy one. A great big bell on the roof of the factory rang out at 05:55 every morning except on Sunday, summoning the workers to start their 12-hour shift at 06:00. Anyone not at their place by 06:10 would have been docked half a day's pay. Working conditions, like the working hours, were also a bit grim. The mill was a deafening place when everything was powered up. 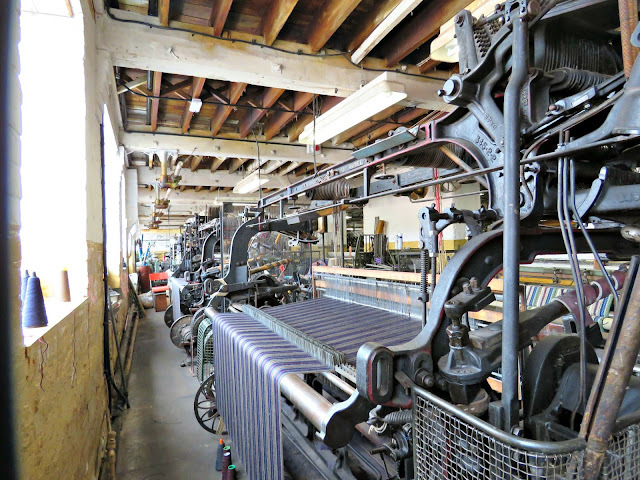 For the poor folk who worked there in its heyday the constant and unremitting noise of those long 12 hour shifts damaged their hearing, leaving many of them deaf - hence the expression cloth ears was coined for textile workers with hearing problems. Many learnt to lip-read and to use sign language to overcome their difficulty in communicating with one another over the din of the machinery. Lighting was not great either. They had natural light coming through the windows, which was enhanced in wintertime by whale-oil lamps. 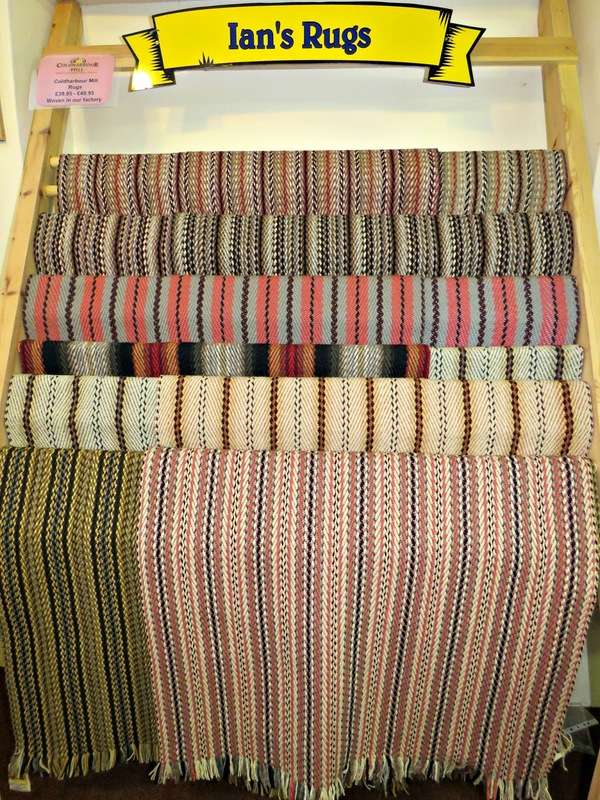 The air was full of fibres and dust particles thrown out by the wool whilst it was spinning, which caused many to develop lung conditions. Comfort breaks had yet to be invented: the mill girls who operated these machines were only allowed to absent themselves from their posts when the bobbins had been filled. 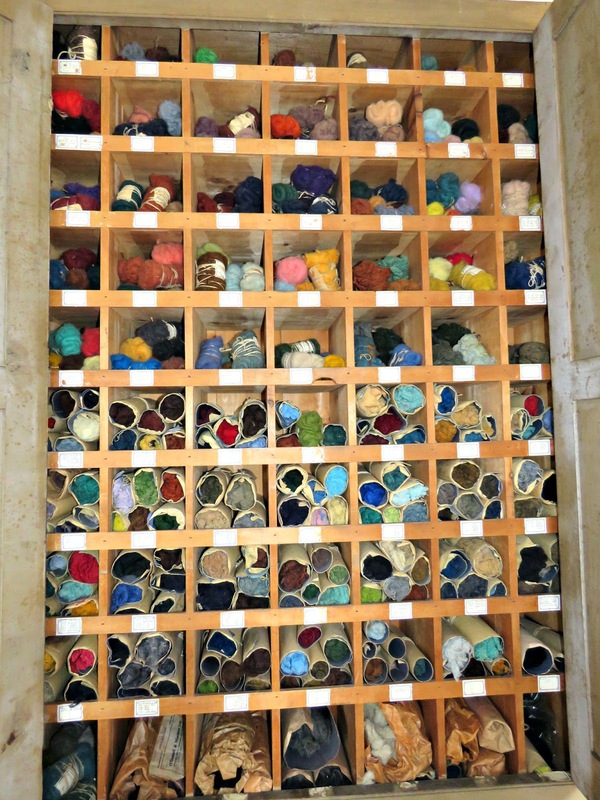 At this point the machine would be stopped for doffing or taking off the bobbins and putting empty ones in their places. For their long hours of work they would have been paid 8 or 9 shillings a week and their wages would have been docked if there was too much wastage from broken bits of slubbing or roving. These were collected and monitored by supervisors to make sure that no one was being too extravagant with what got thrown away. Oftentimes to protect their meagre wages the girls would stuff their underwear with the wastage, and smuggle it out to escape censure. 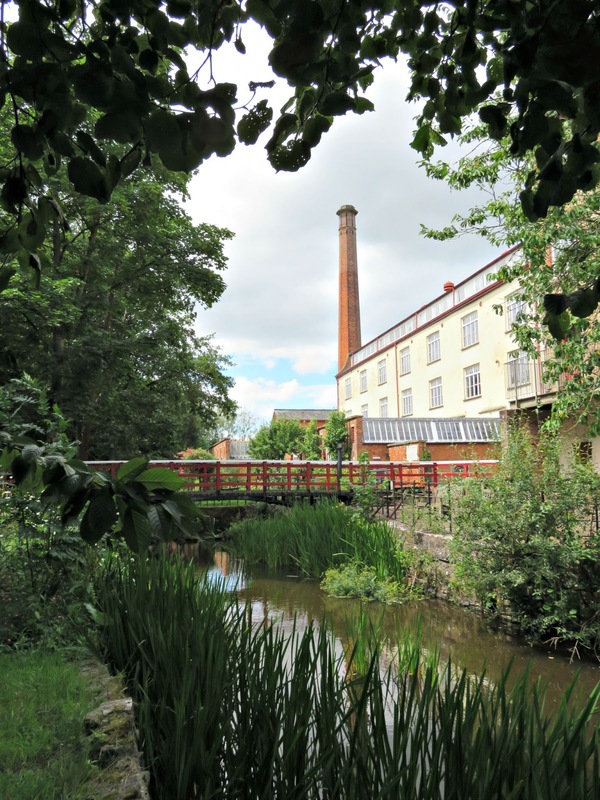 When the mill opened in 1799 the minimum age for child employment was 6 years, but Thomas Fox, the founder, who was a Quaker, believed this to be too young and refused to employ anyone under the age of 8. From early on in Thomas's letters he wrote about how he wanted to build up a steady workforce of girls and women because they cause much less trouble. His son, another Thomas Fox, built a row of cottages in Coldharbour Lane, which he rented to the workers to ensure that they had affordable local accommodation. 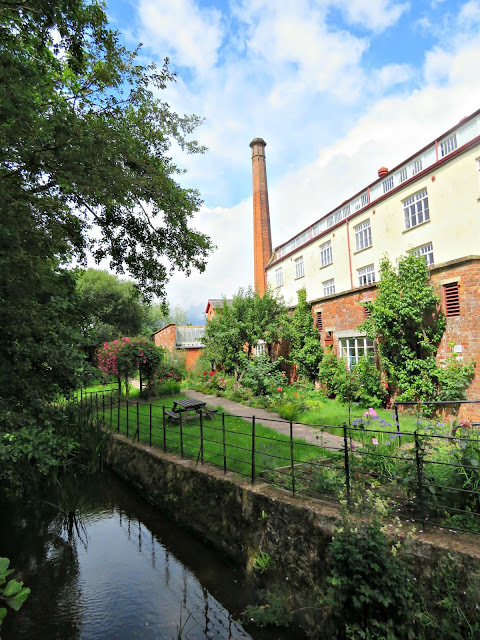 And when there were food shortages because of bad harvests or the Napoleonic Wars they arranged for provisions to be bought from the East India Company and sold at cost price from a shop on the mill premises. These measures may not sound hugely saintly by today's standards, but back in the day the Fox family, like many within the Quaker community, were progressive employers at the vanguard of social reform. 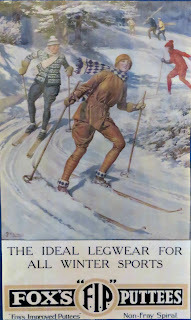 The Fox family produced a variety of Worsted fabrics over their history, but the most famous was their khaki serge. During the Crimean and Boer Wars the tactics of warfare changed. Snipers emerged from the sidelines with the ability to take out enemy soldiers from a great distance. 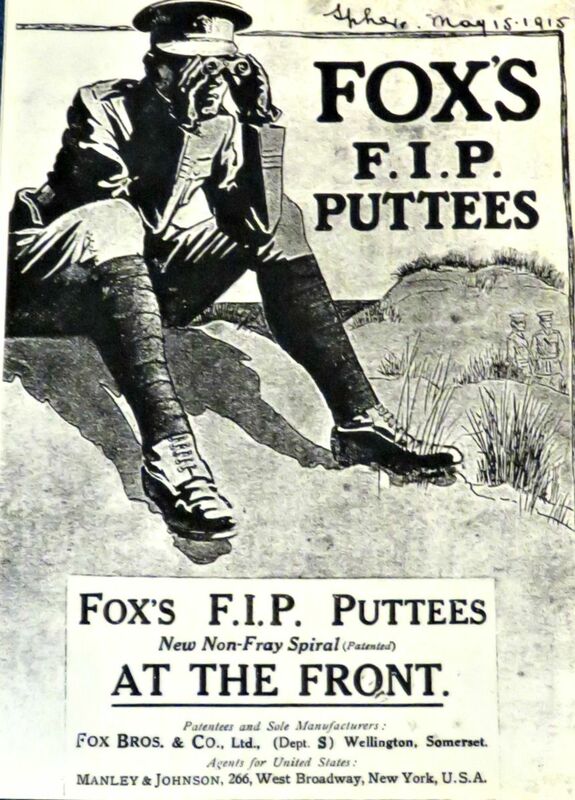 Large numbers of British soldiers fell victim to this new scourge of the battlefield. 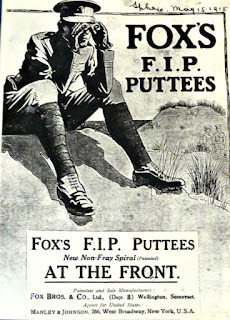 Their brightly coloured tunics, designed to present the appearance of a disciplined and well-run army, quite literally turned them into sitting ducks. The Fox brothers were approached about the problem, and, in response, they developed a green/brown dye, which offered better camouflage. They called it khaki, a loan-word, imported courtesy of the British Raj from Urdu, in which it meant soil-coloured. 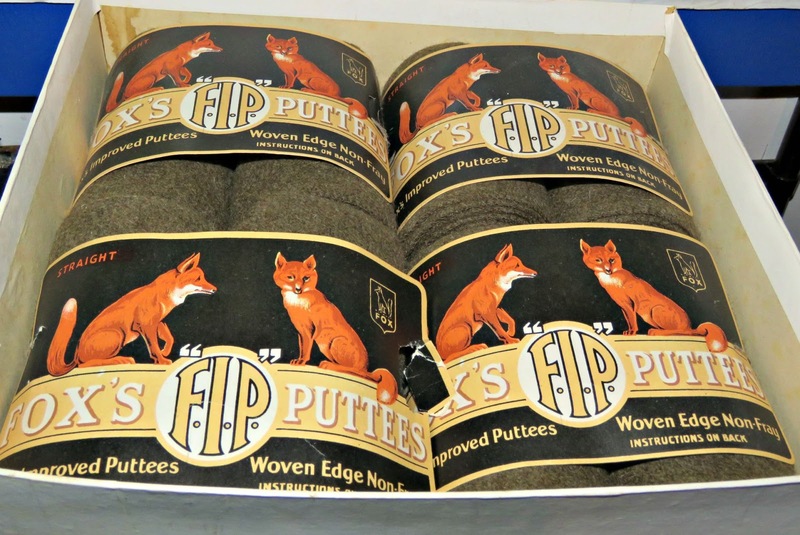 The War Office needed a great deal more material than the Fox brothers' factories could supply, but they specialised in making puttees, the warm bandage-like strips of fabric that soldiers wrapped around their lower legs to keep warm. Back in the day the folk at the mill would have had to have been able to fix and maintain all the machinery without having to send away for outside help. Time was money and they had to keep those machines working. 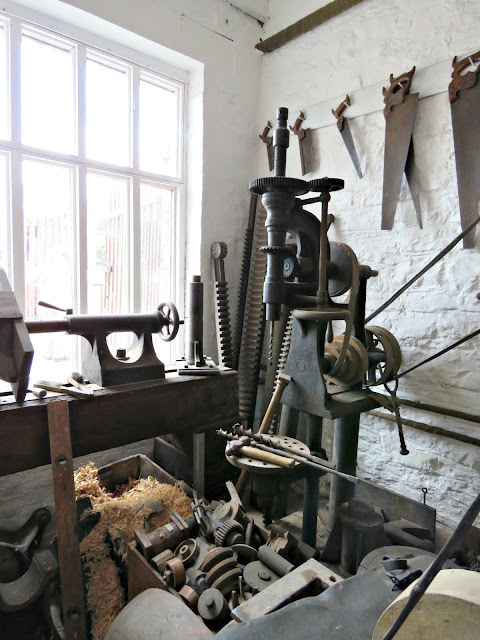 As a result impressive workshops existed on site for woodwork and metal work. 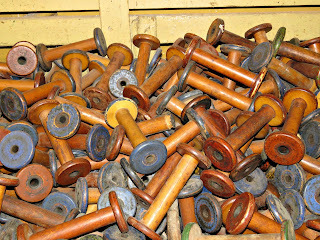 Most of the amazing bobbins were made by the carpenters at the mill. 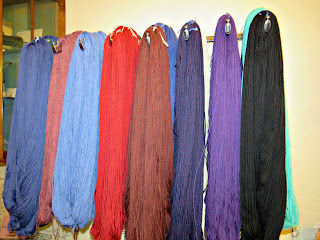 I was a bit blown away by the workshop. 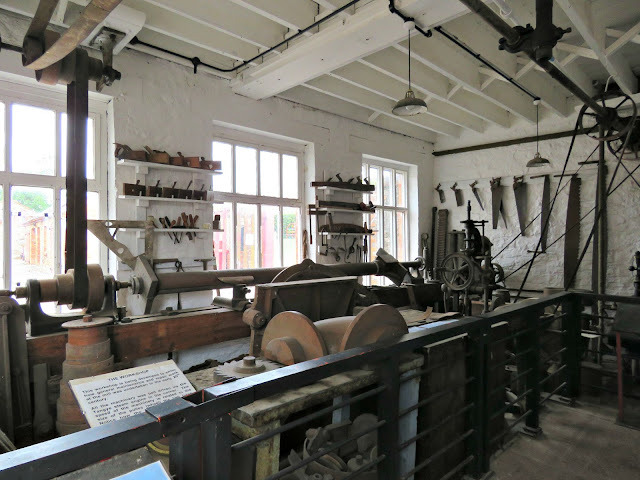 It was incredible to see everything from a Victorian, steam powered, workshop in place and ready to operate. 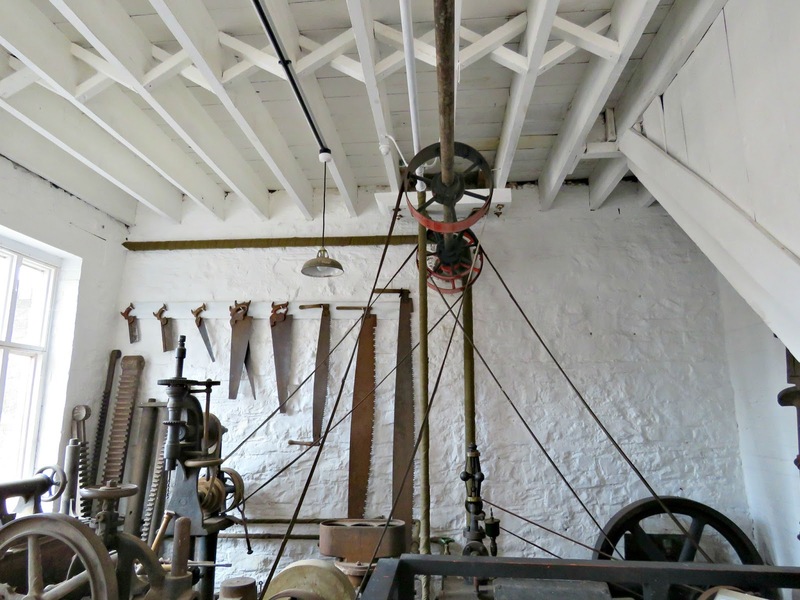 There were line-shaft lathes and drills all belt-powered from the Tangye steam engine sitting in the corner of the room. 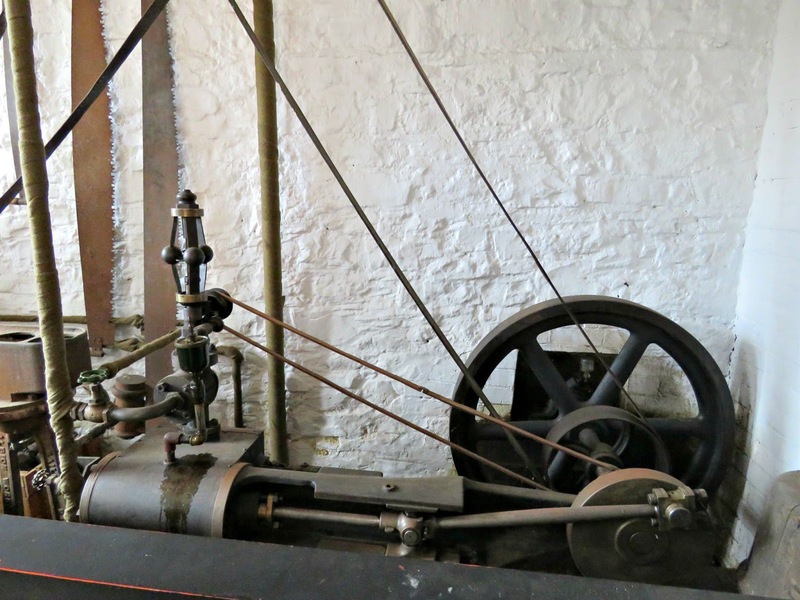 The engine drove the overhead line shaft, via a large leather belt. This in turn powered the workshop machinery. The steam was piped to the engine from the main boiler further down the yard. 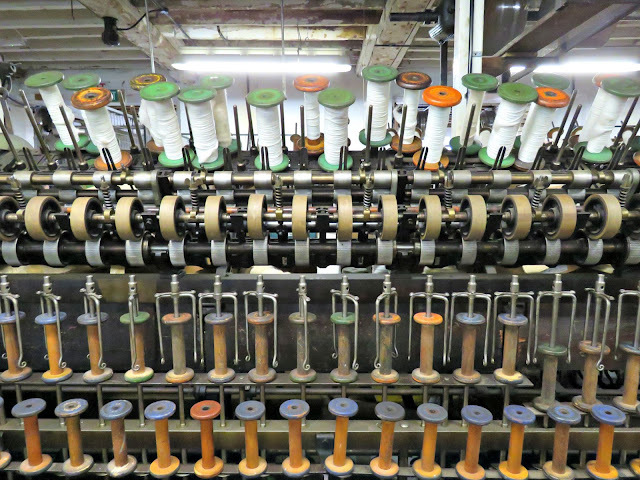 The speed of the machinery depended upon the size of the pulley wheel that drove the machine in question. Beside the drill there were a number of different sized pulley wheels, which would have been used to change the drill speed. 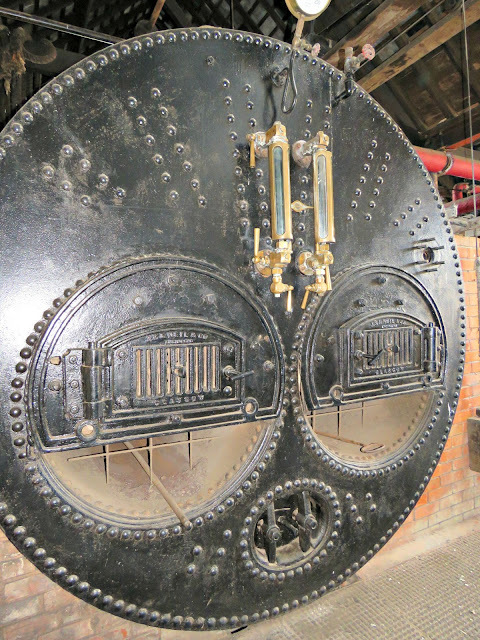 And further down the yard we got to see the boiler room with its two huge Lancashire boilers. Thomas Fox had clung to water power for as long as possible. He believed that steam power would render some of his workers redundant. In 1865, when the factory started worsted production and needed a new combing machine, it became untenable to rely on water power alone, and they installed a huge beam engine. The original engine is no longer in situ, but they've found a similar replacement, which was seriously impressive. 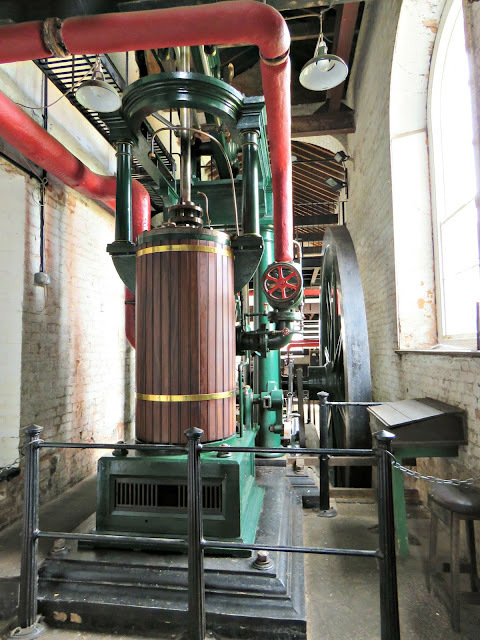 It's an 1867 engine that was donated to the mill by Trowbridge Town Council in 1993. 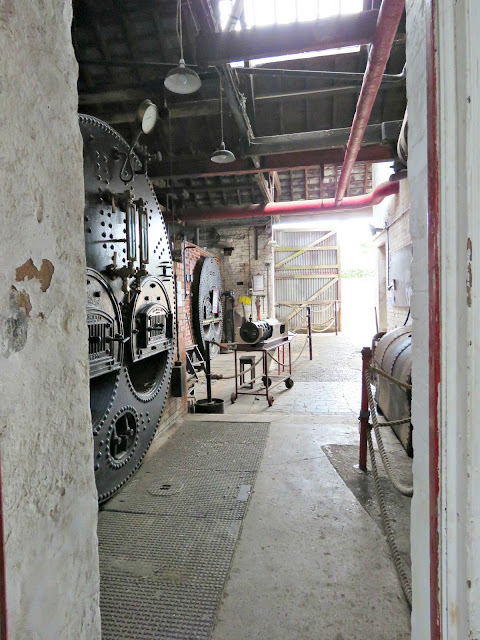 It took the volunteers 4 years of patient work to reassemble it and instal it in the old engine room. We found a sample cupboard showing the rainbow of colours that they used to use to dye the wool. 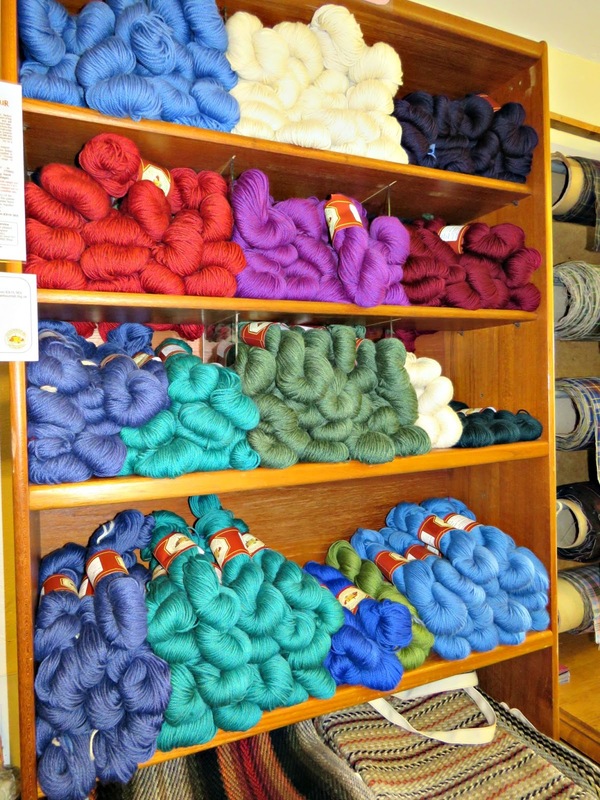 It was a bit like opening a paint set: they had every colour under the rainbow. 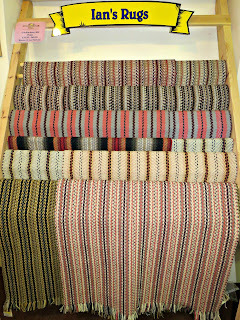 ... rugs and runners for staircases. 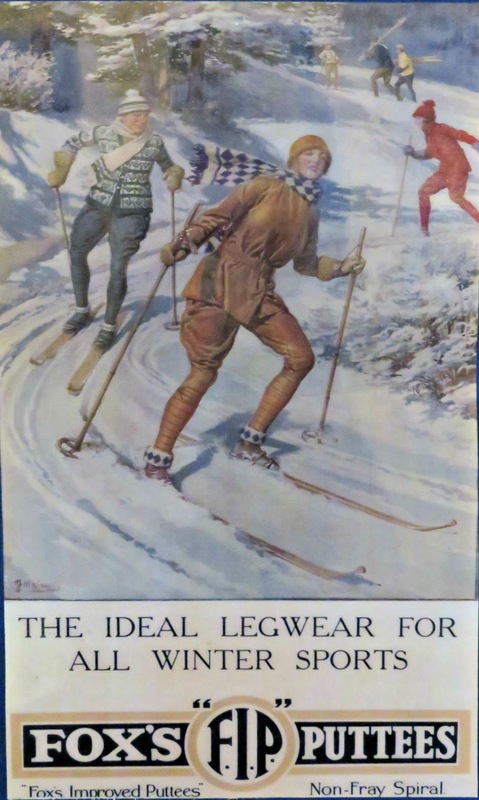 There's also an exhibition on the first floor focussing on life during the First and Second World Wars, and on the role that the factory played in the War Effort. 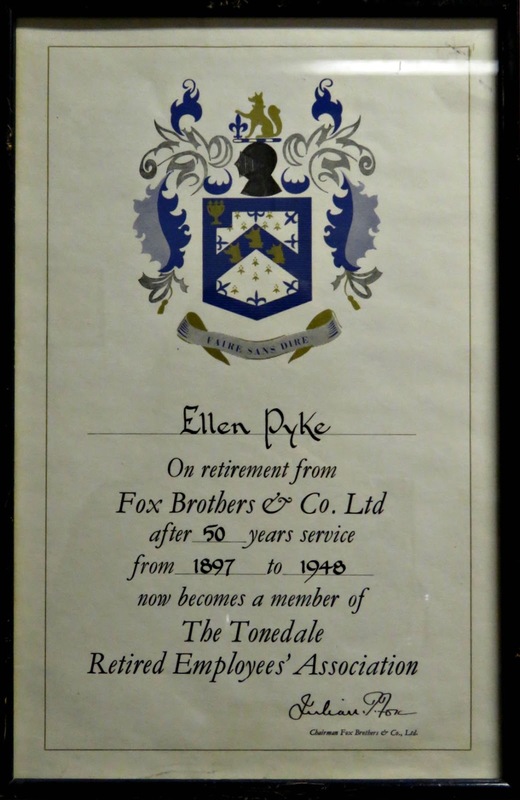 There are also a few bits and pieces about the people who worked in the factory, including this retirement award for Ellen Pyke who worked at the mill for over half a century from 1897 to 1948. 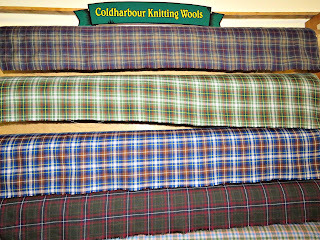 All things told it made for an interesting day out that was enjoyed by everyone in our party - not all of whom were knitters, and one of whom was only nine. 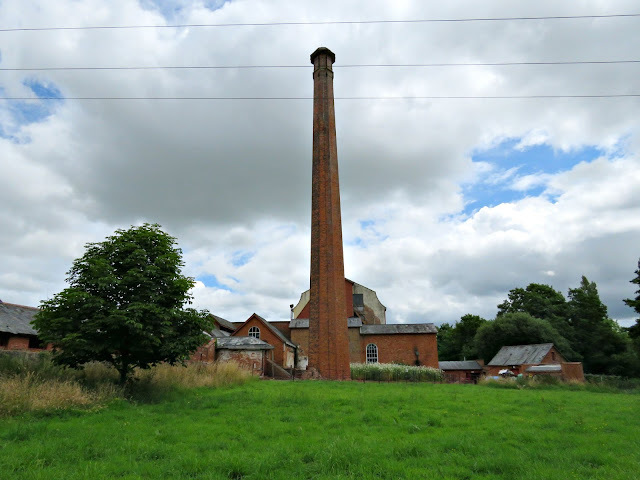 In truth there's a lot of stuff here that would interest steam enthusiasts and those with an interest in our industrial history. 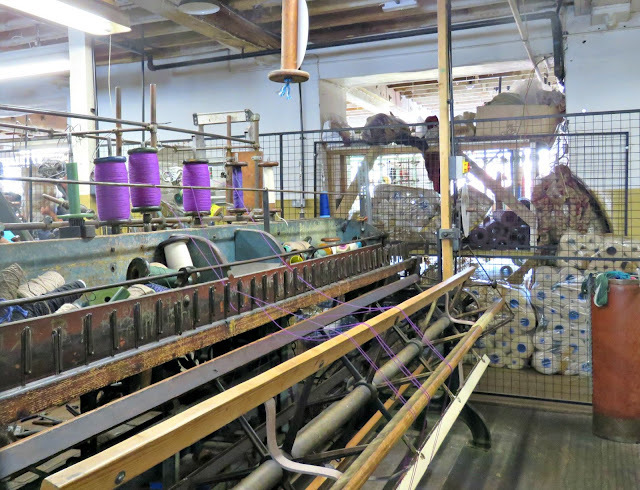 The volunteers who run the mill do a great job, and I was really touched by their dedication to the cause. 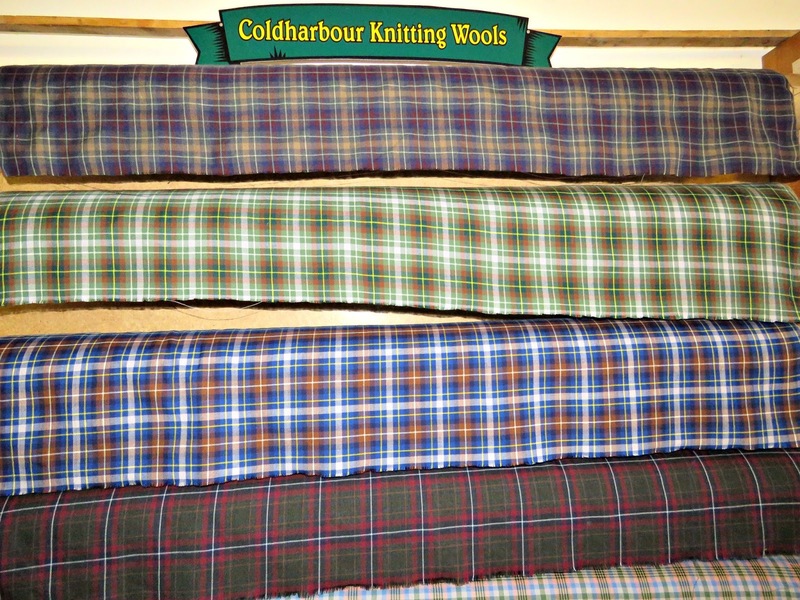 If you'd like to visit you can find the website here: Coldharbour Mill.